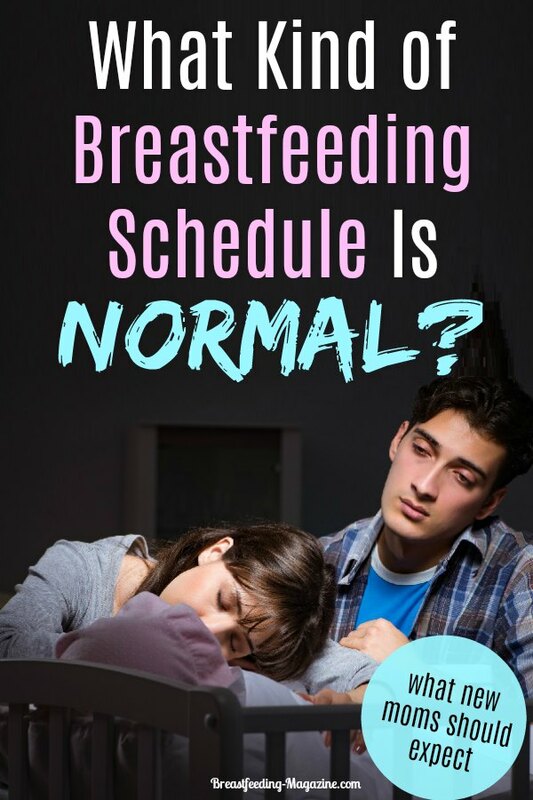 What Kind of Breastfeeding Schedule Is Really Normal? 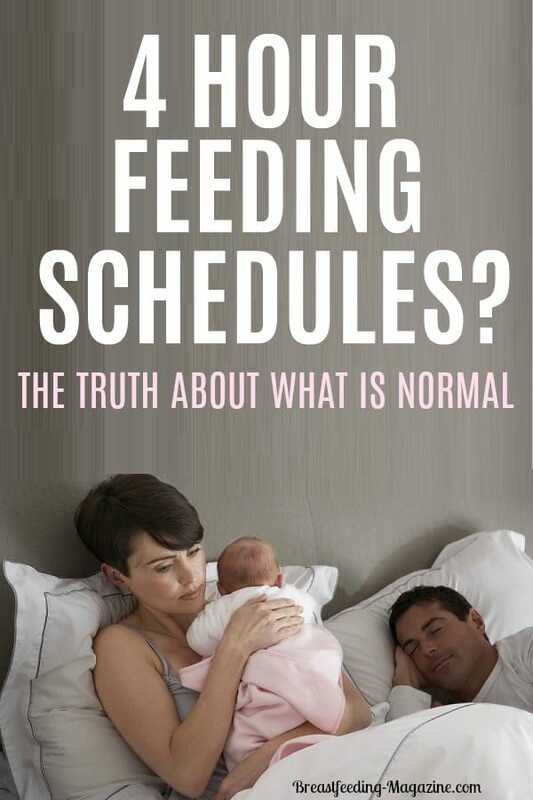 Why won’t your baby let you put him on a 4-hour breastfeeding schedule that other moms talk about? 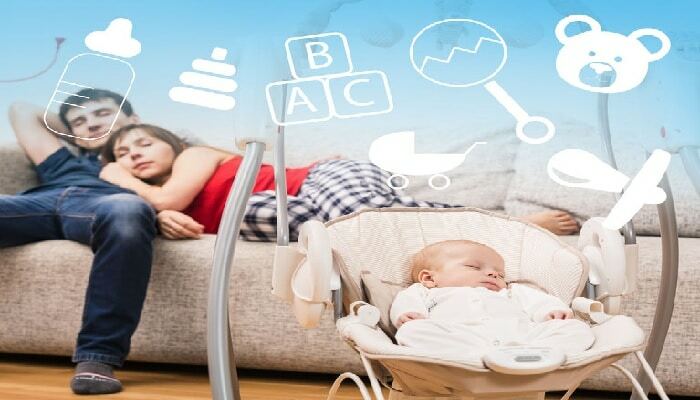 Why does it seem that your baby wants to nurse all the time? Because the 4-hour schedule isn’t normal. Research has shown that frequent nursing may be more biologically normal than the three-or four-hour schedule new parents are expecting! Think about it. How often would you eat if you were trying to double your weight in less than six months? Plus it is simply not as healthy. They even tell us adults that 6 smaller meals are better than 3 regular meals for our bodies. Why should babies need less? How Often Do Normal Babies Eat? According to an anthropologist from Texas A&M University named Kathy Dettwyler, breastfeeding more often is typical of babies around the world. She studied research done in 2000 looking at the breastfeeding schedule of children about 3 months old in three different parts of the world: families from Washington, DC, the Ba’Aka hunter-gatherers and the Ngandu farmers, both of the Central African Republic. The Ba’Aka babies nursed about 4 times per hour. The Ngandu children breastfed about 2 times per hour and the American babies breastfed about one and one half times per hour. The American infants breastfed less often than the two African infant groups, but they nursed much more often than parents were led to expect. Some moms say they nurse every 45 minutes at times. So What Does This Schedule Look Like? If you stepped into an American household with a breastfeeding baby, they would probably ALL have slight variations of how it actually works, but babies should be fed on demand. Your newborn baby will probably have at least 8-14 breastfeeding sessions a day in the first month. Sometimes one session can last 50 minutes so this is a LOT of time on the breast. If this feels like you are feeding your baby more than a formula fed one would be, you are probably right. Breast milk is must easier to digest for your little one’s tummy so they eat smaller amounts at a time and then get hungry more often than a formula-fed baby. It is important to know that these frequent feedings are not only best for your baby, but also work to stimulate breast milk production in those early days so that is very important. Newborns should not go more than 4 hours between feedings, even at night. You may need to wake them to feed if they try to sleep too long. Don’t try a schedule too early. While your breast milk supply is being established, feeding on demand is essential. This means that you feed your baby when they seems hungry. This will generally mean that he or she is eating every 1-3 hours. 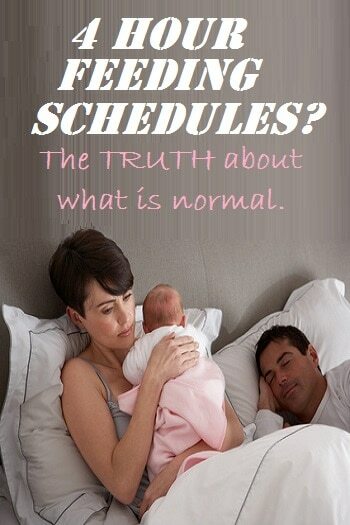 Don’t worry…a schedule will more naturally develop as the baby eats older, but don’t rush that. Some little ones may still feed every 90 minutes while others can wait 2-3 hours. Many moms stress because they think that babies who want to nurse all the time must be really hungry and not getting enough milk? A good lactation consultant will tell you that frequency of feeding is not a good way to measure how much milk your baby is getting. The truth is that babies who are really not getting enough to eat become sleepy, and feed less often. If your baby is giving you enough wet diapers…you are definitely getting him enough milk. 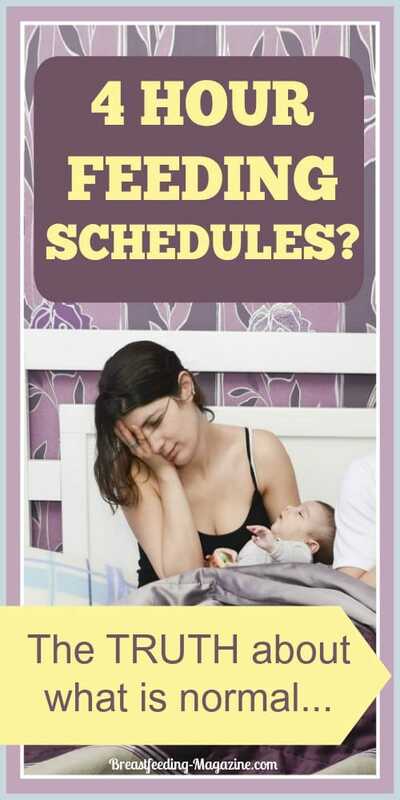 So How Do You Change Your Breastfeeding Schedule? You generally don’t. You may just want to change your expectations. The bonus to having a frequent feeder is that the feedings themselves actually take less time and are easier to fit into your schedule. If your baby is still really small…don’t worry…they feed less frequently as they get older. So other than growth spurt times, they will adjust to a reasonable schedule. If your baby is like mine and just wants to breastfeed more often… just know that someday you may actually find yourself nostalgic about those hours you spent snuggled up with your baby…because soon enough he will be more mobile and breastfeeding won’t be as high on his to-do list. Should I Wake a Baby to Breastfeed? How to Avoid a Breastfeeding Drop in Supply?